Our mission is to promote a healthier lifestyle through running and walking by supporting our members and the community. We aim to provide opportunities for training, racing, socializing and volunteering. 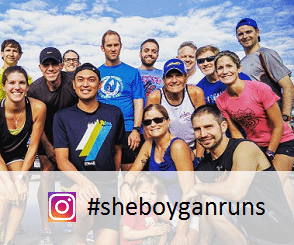 The Sheboygan Striders started in 1981 when a few librarians scheduled a meeting with some individuals interested in establishing a running club. Twenty-five runners gathered and chose the name Shoreline Striders. For 22 years the club ran a small and intimate race – the Smelt Run. Due to venue and date location conflicts, the yearly event was eventually shuttered. In April of 2005 the board of directors met and dissolved the original Shoreline Striders club due to a dwindling membership base and an over extension on running and life obligations. Ten years later, a small group of individuals met to resurrect the club. 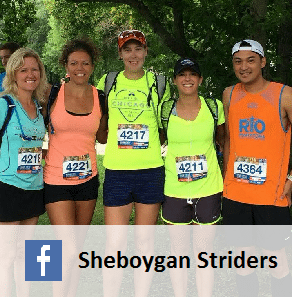 An updated moniker was chosen, and the group was reborn as the Sheboygan County Shoreline Strider Running Club. 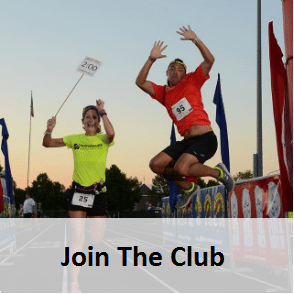 The Striders are a member of the Road Runners Club of America (RRCA) and have 501(c)(3) non-profit status. In the short time the Shebogyan Striders have been back, its members have volunteered their time, expertise and skill in a variety of venues. From stuffing race bags, to assisting with race planning, to providing pacing for runs; the Striders continually look for ways to help the community and have fun while doing it.